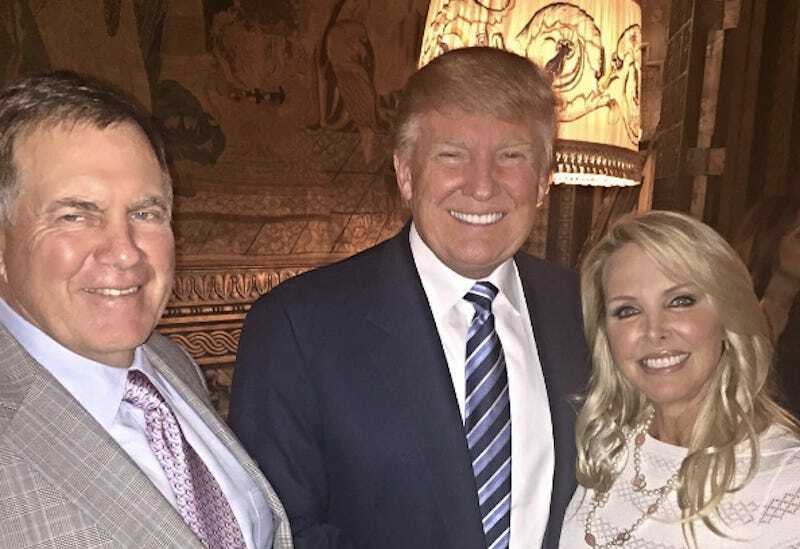 Bill Belichick On Trump Mentioning Him In Speech: "We've Got A Big Game"
At an event the night before his inauguration, Donald Trump shouted out Patriots owner Bob Kraft in the crowd, complimenting him for a “great quarterback” in Tom Brady, and “great coach” in Bill Belichick. Belichick, who wrote a letter to Trump wishing him luck the day before the election, did not want to talk about it. At the start of today’s press conference, Belichick was asked if he had ever been mentioned by a president-elect in a pre-inauguration speech before. He said no. Congratulations on a tremendous campaign. You have dealt with an unbelievable slanted and negative media and have come out beautifully. You’ve proved to be the ultimate competitor and fighter. Your leadership is amazing. I have always had tremendous respect for you but the toughness and perseverance you have displayed over the past year is remarkable. Hopefully tomorrow’s election results will give the opportunity to make America great again. Bill Belichick Says His Letter To Trump Was About "Friendship And Loyalty To Donald"